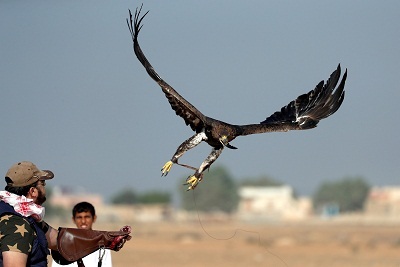 Egyptian falconers gathered in the desert of Borg al-Arab near Alexandria to celebrate World Falconry Day, hoping to increase awareness of the sport and help preserve the ancient tradition. 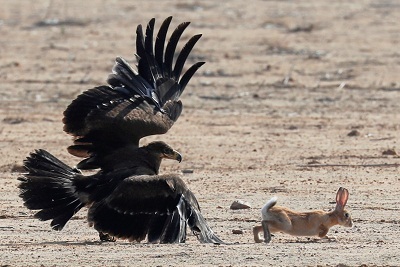 Under the slogan "Egypt ... Where It All Began", the birds of prey of the Egy Falconer Club, which organised the event on Saturday, soared through the clear blue skies and showed off their hunting skills, swooping on pigeons or rabbits. Mohamed Mowafy, a member of the club, said falconry in Egypt dated back to the ancient Egyptians' worship of the falcon-headed god Horus. 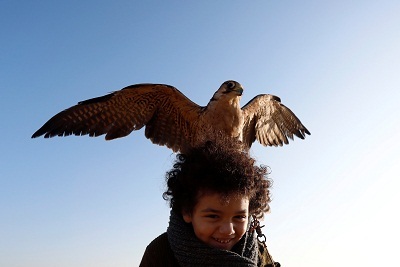 The celebration brought together falconers from across Egypt and included a competition that featured more than 10 types of birds of prey, including a two-year-old golden eagle owned by Yasser al-Khawanky. Among the younger competitors was 11-year-old Ammar, who said he was introduced to falconry by his father at the age of seven. 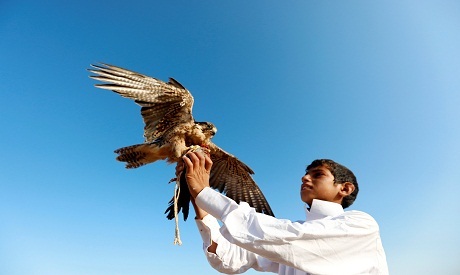 Ammar named his light-feathered Shaheen falcon "Ashqar", meaning blond.